As a priestess of Isis in the mystical tradition of ancient Egypt, Mary Magdalen learned the potent secrets of internal alchemy to elevate her own spiritual power. Now, sound healer and teacher Tom Kenyon brings you five practices learned through his unique connection to this 'Cosmic Mother' and revealed to him in The Magdalen Manuscript. 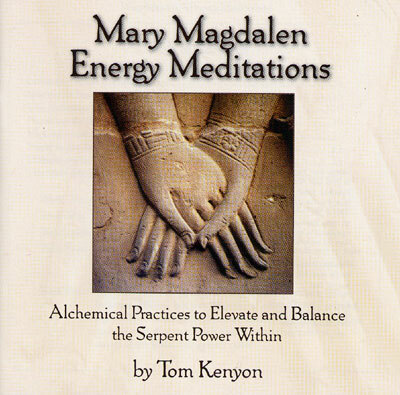 With Mary Magdalen Energy Meditations, Tom Kenyon teaches you the techniques he has restored from Egyptian alchemy for transforming your life energy into a powerful force of creation. Central to all of these alchemical practices is the movement of sekhem, the 'serpent energy' of consciousness. Through step-by-step guidance, Tom Kenyon teaches you to channel this energy up the spine into precise areas of your higher brain centres. As you progress through each technique, you will strengthen the power of your 'Ka body,' your energetic self that is the key to accessing the higher realms of insight, creativity, and awakening. Previously released as "The Alchemies of Horus".